Need a class for oversize dogs? Re: Need a class for oversize dogs? I knew a guy over 20 years ago that had a dog that would measure anywhere from fifteen to fifteen and a quarter. He took the dog to Michigan and got him officially measured at fourteen and a quarter. The dog was very successful in the midwest and became a field champion. The dog was borderline but no way fourteen and a quarter. you here people talk about bettering the breed. do you think breeding dogs that isn't within the standard ok? Large Pack may be the worst offenders but when AKC Rep showed up at the Mid-West run off there were numerous violators. Not including the guys that scratched or didn't enter their dogs because they knew in advance AKC would be there. Judges certainly carry some of the blame but I point the finger at the seasoned field trailers with 20+ years in the game saturating the field with oversize dogs every weekend. The "I didn't know" excuse is only good for a newbie. Other guys are doing it has never been a good excuse in any aspect of life. People breed dogs not within the standard every day and I'm not only talking about only the physical standard. The physical is easily seen but the neglect of hunting attributes and the way a hound is to cooperate, search and run a rabbit until accounted for is much more detrimental to the breed than a too short ear or an inch in height imho. Money is what talks. If AKC was that concerned about the breed standard as a whole no beagle would ever be officially registered until it was 2 yrs. old and had been measured by an official representative from AKC. Can you imagine the loss of revenue for them as well as the expense in sending reps.into the field to do official measuring of all male beagles prior to registration? Never will happen! if you like competing in field trials breed for dogs that are likely to produce what measures in. Pretty simple really. There's a heck of a lot of other things more imprtant than height to be considered in breeding a top quality hunting beagle. Sounds to me like there a lot of oversized dogs where you guys run and you think that’s ok?? A breed standard is a breed standard. Requirements are requirements. To run in a trial you need to meet the requirements. It’s pretty simple, breed for a standard. Some hounds just don’t turn out, it’s that simple. Judges need to measure dogs the right size. The rule book has notes to judges, we must as a judge conform as well. It’s not our field trial. It’s the AKCs. If we wasn’t to run oversized dogs, start a new registry instead of complaining about one already in existence. Plenty of 13 & 15 in. Beagles running hare here in PA ! The Pennsylvania hare hounds he is referring to is a blood line that must have originated in Pa. They are extremely big beagles. I don't know much about them but Ihave seen a couple of them. The ones I saw were black and white with no brown on them, and tall. A couple of guys that had them told me some of them are over 16". I think they were not AKC registered. 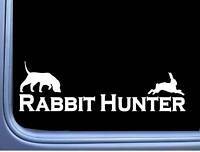 They referred to them as "Pennsylvania hare hounds". As a guy that ran and trialed little hounds and had IFC Murray's Little Blazer (directly out of Heli-Prop) at stub I only received 1 stud fee for him. It was $150, it got lost in my wallet and the guy refused to write me another check. This bigger is better has wrecked the studding of little males, but sent the request for large male studs through the roof. If we enforce the size limits at all events then someone with a great little male for stub might actually received a few bucks for spending $5000+ trailing a him. Form follows function.... 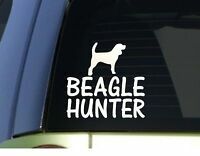 The fear of these 16" English standard beagles must be real due to the responses I've read. The registry establishes THEIR rules and if THEIR rule is 13" to 15" then it matters NOT if taller hounds have a place in the hunting world because that registry has made the determination they have none in theirs. That then means one that wants, likes and has dogs over 15" has to go to a registry that allows that size dog, just as they do when they trial different styles of running. I am of the opinion that if a registry's breed standard is no taller than 15" then they should not even register those that do not meet that standard. It makes no sense to me for a registry to say they have an established breed "standard" of no greater than 15" but yet allow 16" dogs to be registered in THEIR registry which then allows them to be bred NOT meeting THEIR own standards. Not saying bigger dogs have no hunting worth as I'm sure they do but that has nothing to do with what a registry's conformation standard is. If a registry states that any dog over 15" is disqualified from their registry's hunting trials and or shows then their standard for height must be a ZERO deviation from that upper limit w3hich must be met first and foremost. This issue only pertains to trialing, it has nothing to do with fear, weakness or closed mindedness at all. If the oversized hounds are not allowed in the trials, the breeding of over sized hounds will follow suit. You can attempt to justify anyway you please, but in the end, rules are rules and they are meant for everyone participating in trials. Personally, I give a rats azz what England allows, this is AMERICA and AKC stands for AMERICAN Kennel Club. IMHO, it all boils down to character and integrity and whether you have it or lack it.